According to the newspaper, some 7,000 officers were deployed for the operation to clear the main protest site on a rotation basis. 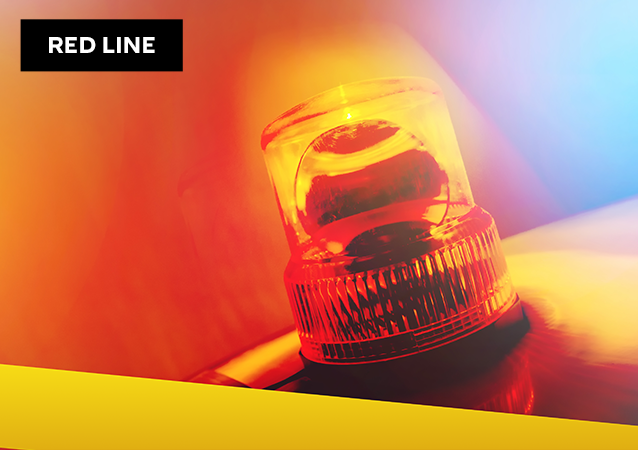 Over 900 of the protesters left the site voluntarily as the protests dwindled. 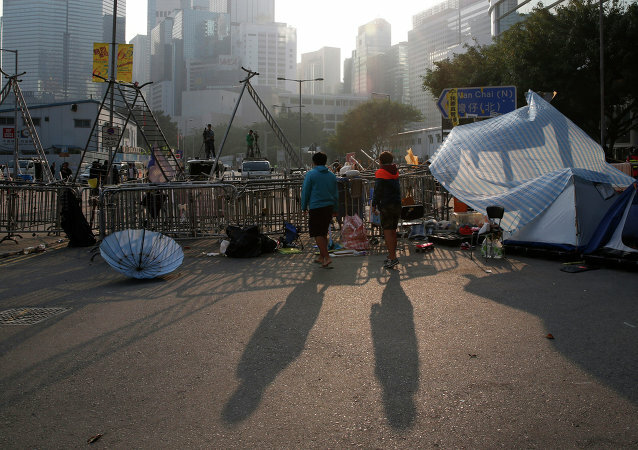 Nevertheless, the prominent Hong Kong protest activist stressed that no upcoming protests were planned. 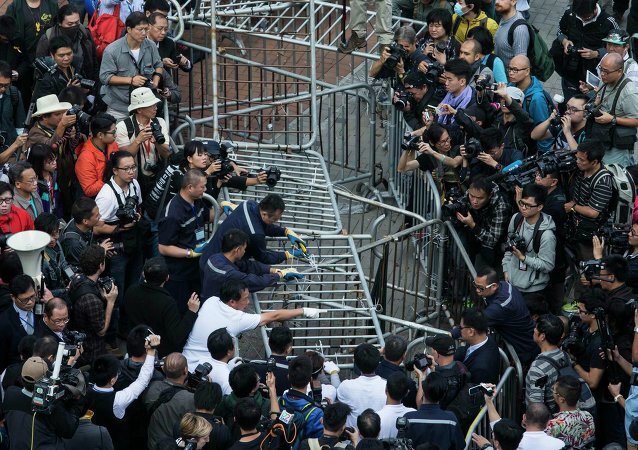 According to reports, Hong Kong law enforcement officials began to "pluck people away" from a crowd of about 100 sitting protesters, who did not appear to resist. 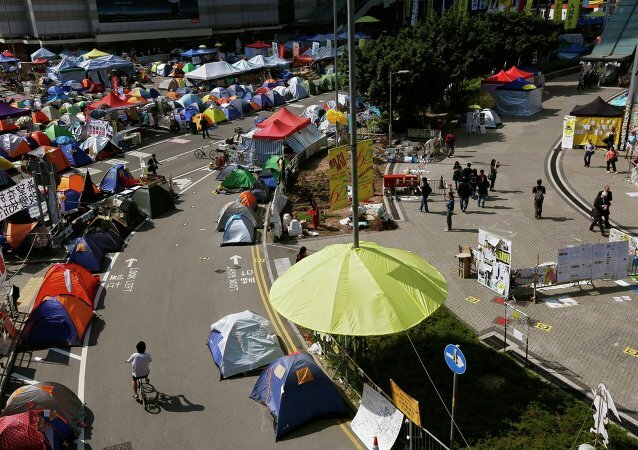 Hong Kong's chief secretary advised demonstrators to avoid "unnecessary confrontation" with the police, who will be clearing the camp on Thursday, adding that law enforcement will take immediate action against anyone who opposes the process. Hong Kong student groups have announced that they were considering retreat since they failed to win public support and did not achieve their goal of forcing the Chinese government to abolish its Hong Kong 2017 election policies. Three leaders of the Occupy Central with Love and Peace movement, which along with several student organizations spearheaded protests in Hong Kong, have announced that they will “surrender” to police and urged participants of the movement to retreat and transform the protest campaign. According to China's Ministry of Commerce, the Occupy Central campaign will have some negative effects on the economy of Hong Kong. According to Amnesty International, a total 93 of people have been detained since the beginning of the protests on September 26. As of November 6, 2014, 76 of them remain in detention. People's Daily reports that around 650,000 Hong Kong citizens have signed a petition against the Occupy Central movement. Hong Kong, a former British colony and a global financial hub is rocked by the worst civil unrest after its handover to China in 1997. Thousands of "Occupy Central" activists blocked the roads of the city demanding resignation of Hong Kong's leader and the transition to universal suffrage in sit-down protests dubbed as umbrella revolution.